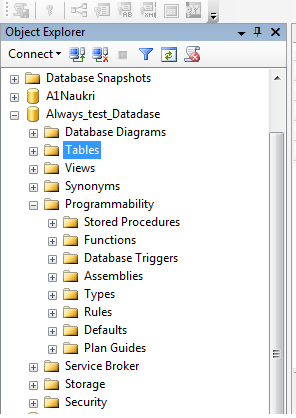 How to create Store Procedure in Sql Server to Insert,Update and delete? Introduction: In this post I will explain you how to create Store Procedure to Insert, Delete and Update the data in table. Description: I have Create a Database name TEST_DATABASE and also a table name DEPARTMENT_EMPLOYEE. After go to Programmability>Store Procedures> (right click on Store Procedures)>New Store Procedure. Create store, use in Visual Studio and check out the result.